Appreciating Italian cuisine – a cuisine of refined and elegant. Italian cuisine has always been known for its tomatoes, its garlic, its wine.. however, the real lesson Italian cuisine taught the world is a simple one: it’s all about what you eat and the quality of the ingredients you use. Tomatoes must be fresh, garlic is good for the health and red wine is great as long as it’s good. The world has coming to love Italian cuisine and food. Here are our picks of the best Italian restaurants in KL that will leave a lasting impression. 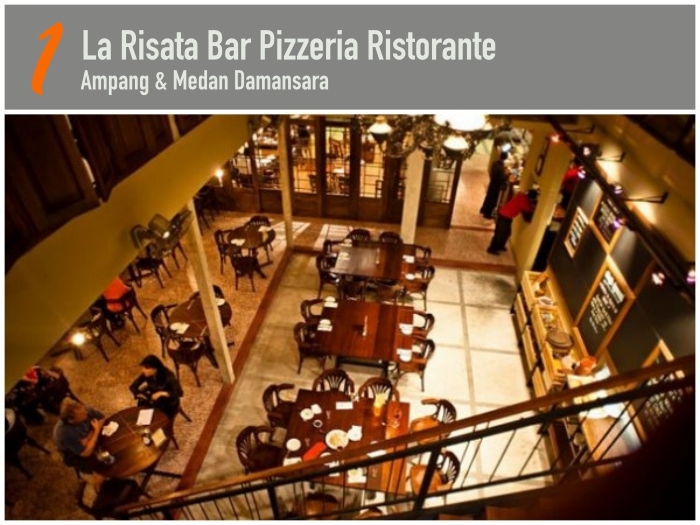 La Risata, meaning “the laughter”, are two lively restaurants in the suburbs of Ampang and Medan Damansara that have been serving some of the best Italian food in Kuala Lumpur since 1996. Well known for their good variety of authentic Italian dishes ranging from traditional wood-fired oven thin and crispy pizzas to pastas, meat and seafood dishes that exude the very essence of Italian dining – rustic, hearty and good. Diners can enjoy a glass of wine from their extensive wine list or unwind with an aperitif from their full bar. 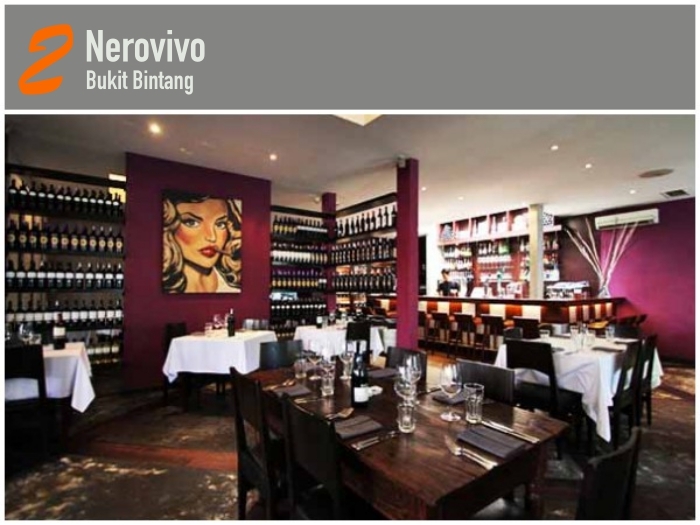 Nerovivo has become a prime KL landmark for an exceptional Italian casual dining experience. With cool ambiance, modern, stylish, whether you're dining al fresco along the side of the restaurant or inside surrounded by striking lilac walls combined with consistently high quality food and impeccable service. Nerovivo champions unpretentious fine dining in vibrant surroundings. A snazzy looking Italian restaurant bedecked with art deco portraits and whose edgy contemporary setting is contrasted with the easy-going Caribbean music wafting in the air, blending beautifully with the whiff of hearty Italian fares exiting the kitchen. Pick your favourite drink from the extensive wine list, take a sip, sit back and enjoy a truly Italian meal. 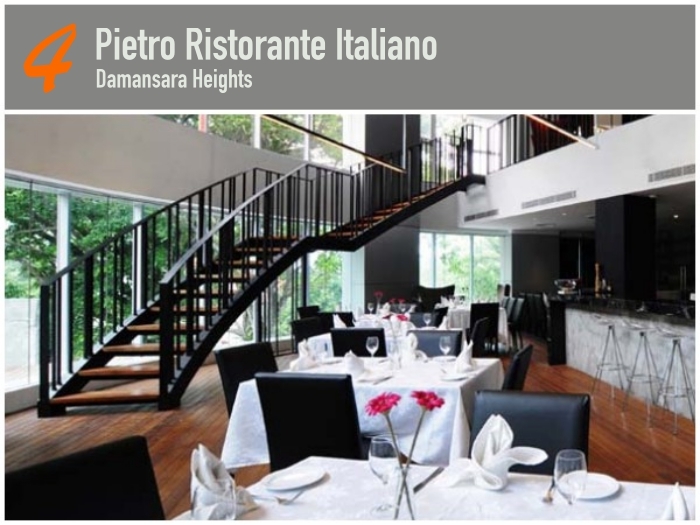 Nestled in the lush enclave of Damansara Heights, away from the hustle of the city, Pietro Ristorante Italiano offers a friendly and casual atmosphere where you can experience a taste of truly authentic Italian dishes with friends, or someone special or entertaining large groups. Pietro’s large two-storey space is divided into the main dining hall, café, private rooms and an outdoor deck, you can expect a delectable spread of original Italian dishes in a contemporary setting surrounded by artworks. 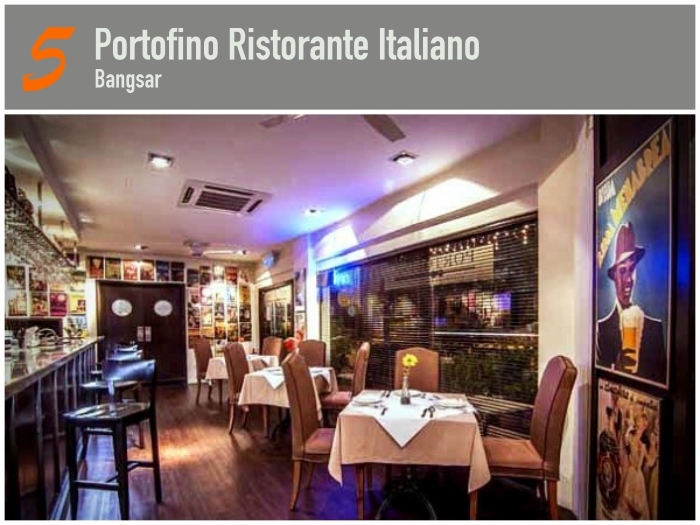 Portofino is an authentic Italian restaurant situated in the heart of Bangsar, in Lucky Garden. The Chef’s of more than 10 years experience in serving up Italian favourites, takes pride in their freshly made pastas and desserts every day, giving its customers a taste of classic Italy. 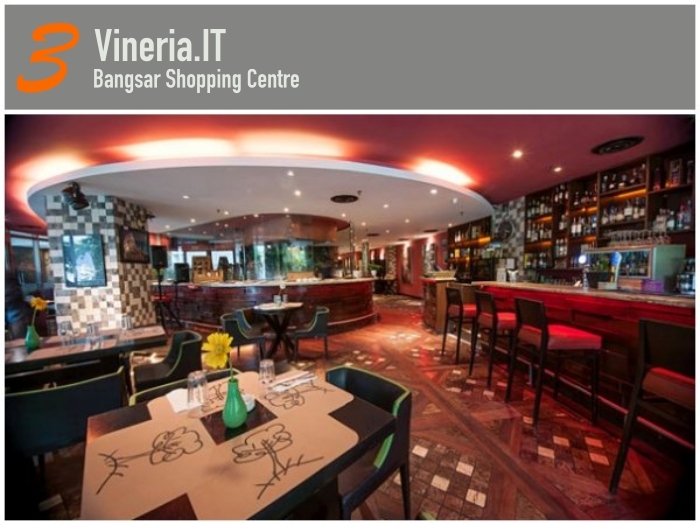 From the range of fine wine to an array of pasta dishes, it’s easy to be spoilt for choices. The restaurants holds up to 100 pax making it perfect for family and company gatherings yet quiet enough for candle lit dinners.